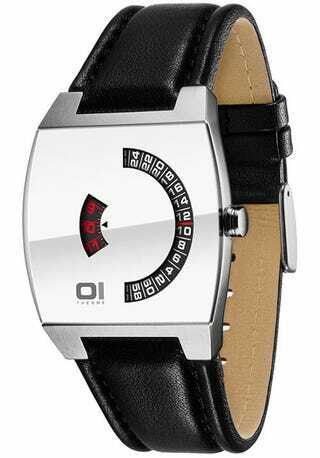 You'd expect a watch called 01 "The One" to be a celebration of binary code, but while the 01 certainly has a dual-dialed binary design, it's ironically analog. A retro celebration of jump hour watches (that I've just learned were popularized in the 70s), one dial handles the hours, the other dial handles the minutes. It's nothing complicated, which is completely the point.